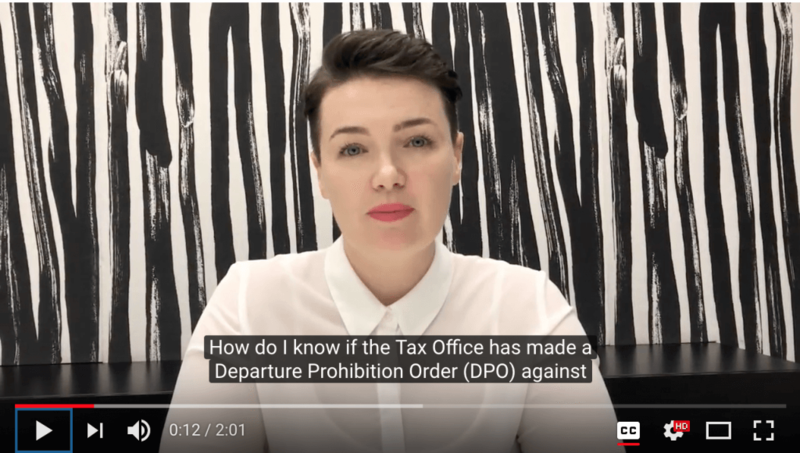 The ATO often sends garnishee notices to banks, requiring the bank to transfer funds in a taxpayer’s account directly to the ATO as payment towards their tax debt. 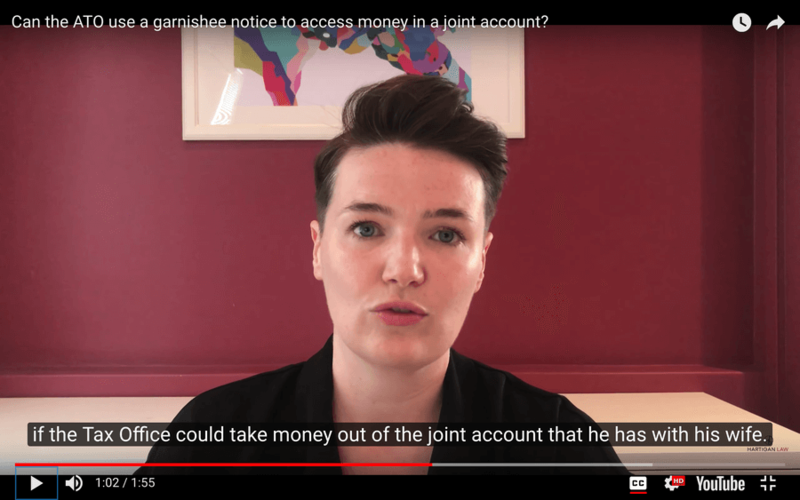 But what happens if the taxpayer has a bank account with someone else – can the ATO access the money in that account too? Watch this video to find out. The ATO can write off a tax debt if it decides that it would not be economical to pursue the debt. 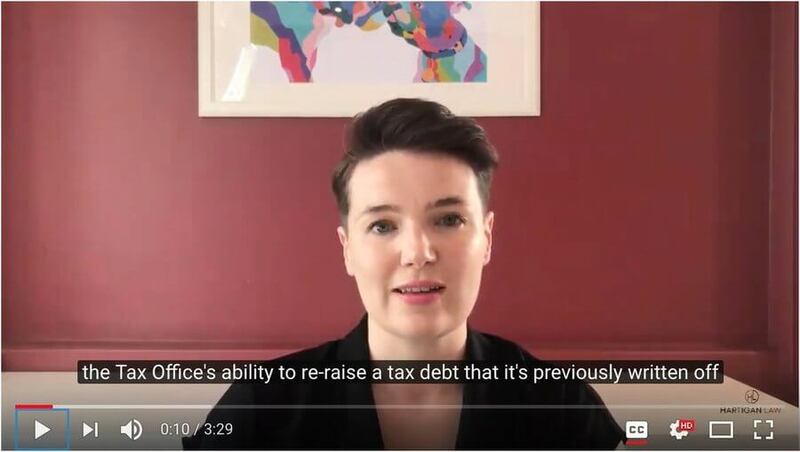 However, the ATO can re-raise this debt down the track. Watch this video to find out more about this and what to do if this has happened to you. 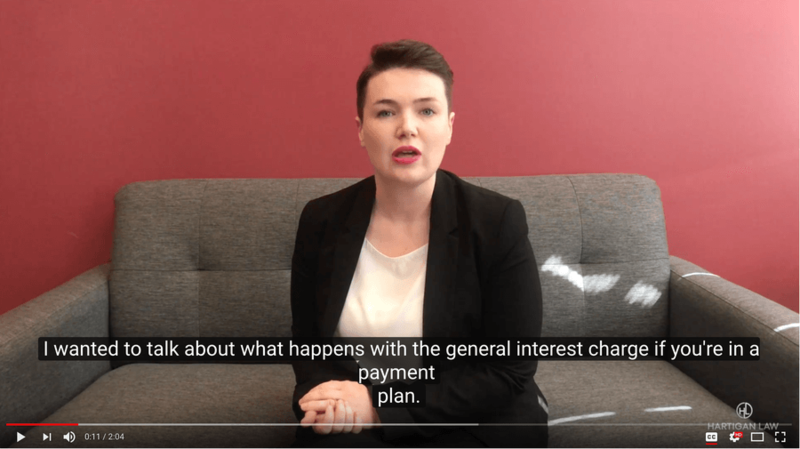 Usually, the ATO will continue to charge the general interest charge on tax debts, even when you are in a payment plan. Find out more in this video. 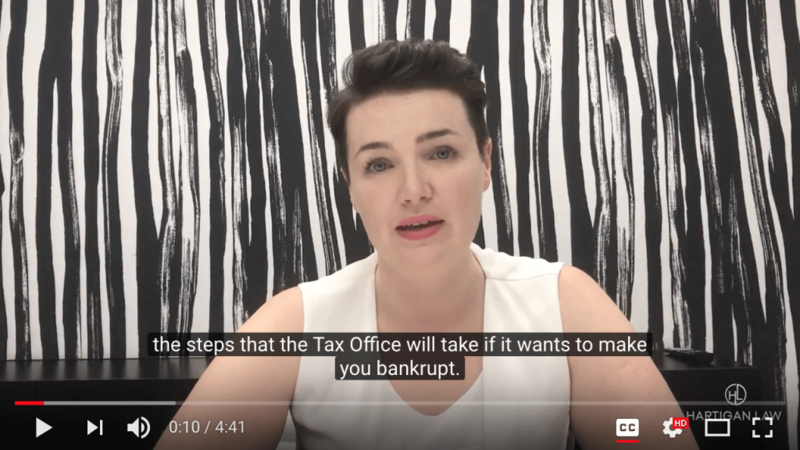 In this video, Catriona Hartigan of Hartigan Law outlines the steps the ATO will take if it wants to make you bankrupt. 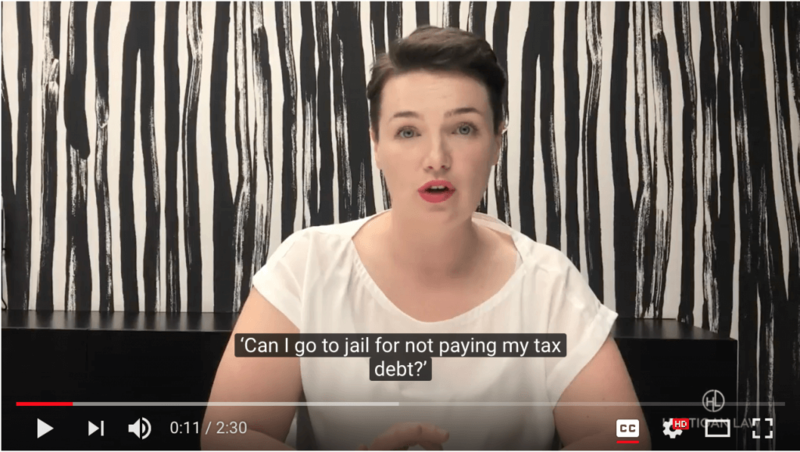 This video by Catriona Hartigan of Hartigan Law answers the question: ‘Can I go to jail for not paying my tax debt?’ The quick answer is ‘no’ – but there are other tax related things you can do that could send you to jail!